Tigers and gorillas are not the best of friends in the wild, so things were pretty tense around the office when the Casino Gorilla sat down to review this site. Well we needn’t have worried, because despite appearances to the contrary, the big guy is pretty professional when it comes to casino reviews. Plus, Tiger Gaming don’t exactly push the whole ‘tiger’ element of the site very strongly in the first place. There is a very large welcome bonus on offer from this casino, so if you are curious to find out whether this tiger’s got claws or not, then keep on reading. Now if somebody walked up to you on the street and offered you three thousand dollars, we are guessing that you would take them up on the offer pretty fast. Well guess what? That’s exactly what Tiger Gaming are offering to new players over their first three deposits. That means that Tiger Gaming Casino are offering one of the biggest bonuses you will find anywhere to new players. Sounds too good to be true? The Casino Gorilla has some suspicions… Well first the good news. When you deposit at least $25 on your first three deposits (and enter the correct bonus code) you earn a 100% matching bonus, which can go as high as $1,000 per bonus. The negative? There is an incredibly steep wagering requirement of 40 times deposit plus bonus, and you cannot withdraw your deposit, winnings or bonus until this has been completed. To put that in context, if you were to claim the full $3,000, you would need to wager a total of $240,000 in order to release any of your cash, and you’ve got 42 days to do that in. Good luck with that! While there are no free spins on offer from the welcome bonus with Spin Palace, if you go to the promotions page of this site you will see that there are no free spins offers. In fact Tiger Gaming Casino give away $3,200 in free spins that you can win. Just play slots any Wednesday to be in the running for a share of the free spins on the Demi Gods game. Finish in the top 20 cash earners on Wednesday and you will win those free spins, with $1,000 in free spins going to first place. And unlike the welcome offer, there are no wagering requirements attached to this promotion. You will need to enter a different bonus code for each of your first three deposits in order to claim your welcome bonus. Forget to enter the bonus code, and you can forget about claiming your welcome bonus! When you make your first bonus you must use the code CASINO1, then CASINO2 for the second, and yes you’ve guessed it, CASINO3 upon making your third deposit. The deposits must be at least $25 each to qualify, and you can claim a bonus of up to a grand per deposit. Tiger Gaming offers players a live casino experience, albeit not as fully stocked as you will find in some casinos. Here you only have three games to choose from, namely Blackjack, Roulette and Baccarat. There is also Super 6 Baccarat, a variation on the original game. The Casino Gorilla is a big fan of live casinos, but he enjoys mixing things up with some Hold ‘Em or a game of Caribbean Stud Poker, so was left slightly disappointed with the lack of options at this casino. If you want to go mobile with Tiger Gaming Casino, then you will simply need to enter the site URL into your browser and start playing. Modern slot and table games are designed to be played seamlessly on mobile devices, so you can enjoy top casino action on the move. Live casino games are not available on mobile from Tiger Gaming just yet, though that is set to change in the near future. While there is a dedicated app for the more popular poker site at Tiger Gaming, that is not the case for the casino. It’s a bit of a shame, but perhaps this is also something which will change in future. If it is speed that you are after, choose the e-wallets like Skrill and Neteller to process those transactions faster. Tiger Gaming Casino is located in Panama, and is regulated by the Curacao gaming authority. It’s not the best regulator in the world to be honest, as the Casino Gorilla prefers to see a European licence. Tiger Gaming state that their games are 100% trustworthy, and there are no reports of any issues with the fairness of this site. Your details are encrypted to ensure that they remain private. When you click the Support button at Tiger Gaming, instead of being brought to a messaging page you enter the FAQ section instead. 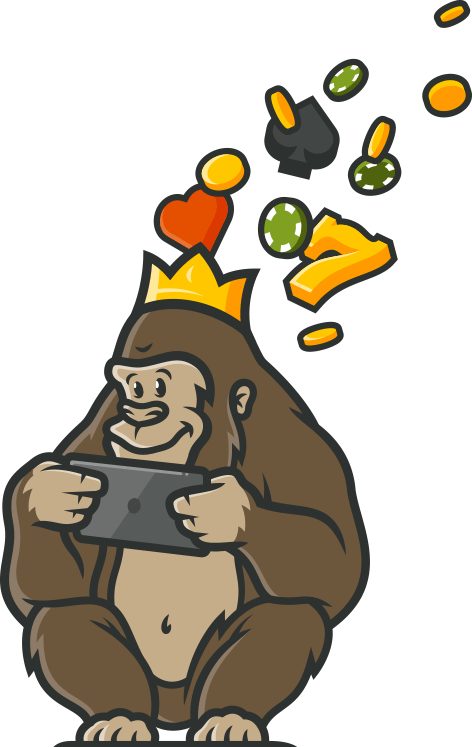 In fact it took the Casino Gorilla some searching to find the email address to use. We will save you the trouble of looking for it yourself, and tell you that it’s support@tigergaming.com. Simple when you know how. Still, it’s a bad sign when the support contact information is not readily available, and there’s no live chat option here either. Not great. 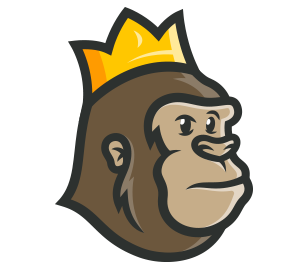 Tiger Gaming Casino is not one of the most impressive online casinos that the Gorilla has ever seen. And not just because gorillas don’t like tigers! There is no European licence, limited gaming options and payment methods, ordinary site design and not many ways to contact support. Add to that a bonus offer which looks amazing, but upon closer inspection looks extremely difficult to even contemplate withdrawing. I don’t think the big hairy guy will be signing up with Tiger Gaming Casino any time soon! Here you will find some great free spin deals, which is perfect for me since I love playing slots. There are hundreds of video slots with fun bonus rounds. I can spend hours playing here and not spend much money. I have been with TigerGaming casino for a long time and decided to finally write a review after being a long-time satisfied customer. I think they are probably one of the oldest casinos out there and definitely one of the best. This is one of the best sites if you don’t have the funds to wage a large sum of money. They have plenty of low-stake games that are easy and also fun to play. One con I would mention is that their software is download only. You cannot instantly start playing like a lot of other casinos. Still was a great experience.